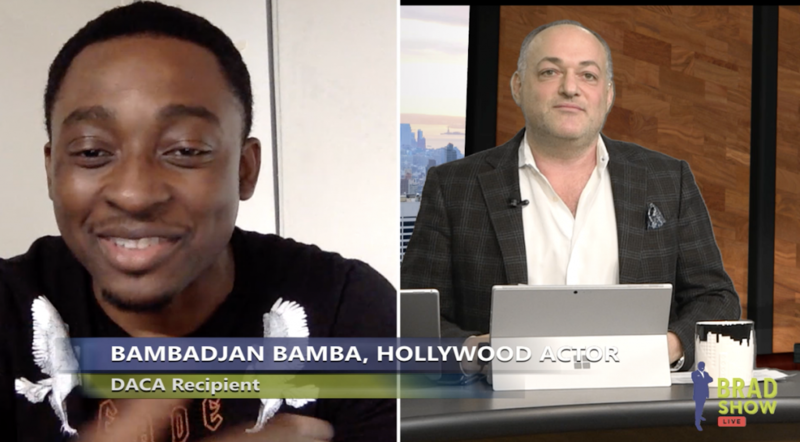 Hollywood actor Bambadjan Bamba may not have appeared in “Black Panther” if it wasn’t for Deferred Action for Childhood Arrivals, he said in an interview on Brad Show Live. And in the decades before he even appeared in “Black Panther” and in his recurring role on NBCs “The Good Place,” Bamba and his family had escaped political persecution from their native country. Travelling from West Africa to the South Bronx, Bamba was just 10-years-old at the time of their voyage in 1992. Later having moved to Virginia, his family established a hair braiding salon that is still around to this day, Bamba told Brad Bernstein on Brad Show Live. Despite Bamba’s family rooting themselves in their new community, uncertainty regarding his immigration status still lingered. DACA was introduced in 2012 by former President Obama, which granted protection from deportation and work authorization to those brought into the United States as children. While many undocumented people were declaring themselves unafraid, “I was sitting there afraid,” Bamba recalled of the tumultuous time. Although grateful for DACA, Bamba never publicly announced himself a recipient until President Donald Trump said he would phase out the order in September. Personally having a Hollywood career benefit from DACA, Bamba finally felt it was his turn to use his celebrity platform in order to speak out in its favor. “Now that Trump has come into the office, and set a date to cancel and terminate DACA, this was a big wake up call to me,” Bamba said of his decision to advocate on behalf of the program. If DACA were to be cancelled, it would not only hurt Bamba’s acting career, but he would be separated from his wife and child, he anxiously expressed on the show. In addition to Bamba benefitting from DACA, there are approximately 800,000 other individuals in the United States that have received the Obama-era program. To see more of Bambadjan Bamba’s interview on Brad Show Live, watch below.